TACOMA, WA. 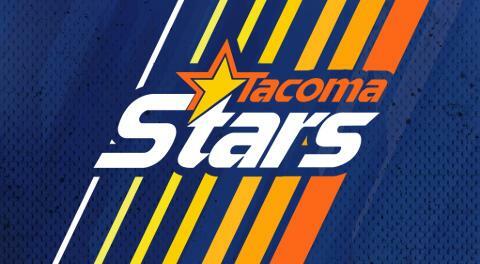 – The Tacoma Stars (12-12) have clinched a berth to the Major Arena Soccer League Ron Newman Cup Playoffs and will face the Pacific Division Champion San Diego Sockers (23-1). Tacoma was the only team to beat San Diego during the regular season, a 5-4 decision on December 22 at Pachanga Arena San Diego. The Sockers eventually won the season series four games to one. Game one of the best-of-three playoff series will kick off on Friday April 19 at 7:35 pm at the accesso ShoWare Center. Tickets will go on sale Monday April 15 at 10:00 am. Game two will take place on Saturday April 20 at 7:00 pm at Pachenga Arena San Diego. Should the series be tied after two games, a deciding mini-game will take place following immediately game two. Stars playoff tickets will go on sale tomorrow at 10 am. 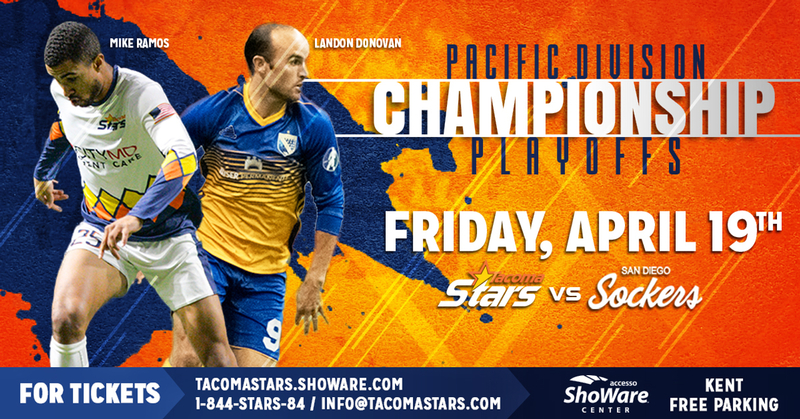 Guarantee your seat to the action as Tacoma hosts the San Diego Sockers on Friday April 19 by logging on to www.tacomastars.com! Game time is 7:35 pm. The playoff series shifts to San Diego on Saturday April 20 at 7:00 pm. Catch all the action as the Stars battle the Sockers live on MASL.tv.